Do you know why you should Study and Volunteer Abroad? Well, it helps you to see the world though a different lens. It gives you perspective on things and life, when you see things from a new culture’s point of view. For Happy Schools Blog Readers, studying in USA or any other country will give the exact same opportunity to learn and experience new culture. Studying in USA for an international student is a wonderful study abroad experience. Thousands of American Students travel around the world to gain similar experience. Marissa Sutera is one such student. I met Marissa Sutera in San Diego, while attending NAFSA Annual Conference. She’s will be graduating with MBA degree shortly. Plus, she traveled to several countries as a student. I requested Marissa to share her love for travel, importance of studying abroad and her volunteer experience. Like many students and young adults, I initially thought that traveling the world was out of reach for me and was something that was not going to be feasible. After all, I figured that travel must be expensive and I had family and friends that I would have to leave behind for an extended period of time. I would miss out on so much if I were to leave them to travel to another country, and who knows if I could even afford it! Yet, I still knew that I wanted to see what else the world had to offer outside of my home country. I wanted to experience the way other cultures lived and explore the history that has led countries around the world to where they are today. I did some research on study abroad, despite my concerns. It turned out that my university had tons of programs and options for me to study abroad, and there were ways to assist with funding to cover some of the costs as well! There were a whole bunch of scholarships available to apply for through my university, as well as additional scholarships from outside organizations. The international office at any university should have plenty of resources to direct you to scholarships that could help you to fund your travels. Another great reason to travel while you are still a student is the abundance of student discounts! Who doesn’t love to save a little bit of money? The key is to do some research. Search for organizations such as STA Travel that specialize in student fares for flights or student accommodation rates. When planning your travels as a student, always be sure to look up if any of the attractions or excursions you are thinking of checking out have student discounts. If you are not sure, always ask when you get there if they offer a student rate. You may be surprised how much money you can save by using your student benefits! The older you get, the more difficult it will likely become to travel the world. Being in college or university is the prime time to travel, especially with the increasing options in study abroad programs that there are to choose from. Semester or academic year programs can provide a once-in-a-lifetime opportunity to live in another country for an extended period of time. Study abroad programs can sometimes even end up being cheaper than your home university! For some, traveling for so long may not be a feasible option. If this applies to you, don’t lose hope! There are plenty of short-term programs available too. Many universities will have their own summer, winter break, or even spring break programs that you can take advantage of and still earn course credit. Don’t want to travel through a study abroad program, or maybe you are graduating soon? There are still options for you too! Try volunteering abroad! Volunteer programs come in a wide variety of shapes and sizes. They could involve teaching, photography, community development, healthcare, marine conservation, or a whole lot more! Volunteer programs are a great option to take advantage of when classes are not in session. During winter break as a graduate student I traveled to Zambia on a volunteer program where I taught the local children and worked with the community in Livingstone. Seeing the kids so eager to learn everyday brought me joy and made me look forward to each day of teaching. Volunteer programs are a great way to give back to people and communities in need, learn about a new culture, and view the world from a new perspective. You could also consider working in another country, interning abroad, or teaching abroad. In many cases, these options provide the added benefit of earning money while also gaining travel experience. There are so many great travel options for students, even beyond graduation. You just have to find the program that is the best fit for you! Marissa Sutera has traveled to various locations around Europe, Africa, and North America. She is currently completing her Masters in Business Administration at Eastern Illinois University where she works as the Marketing Graduate Assistant at the Office of Study Abroad. You can find out more about her experiences or ask her any questions by visiting her blog or by following her on Twitter (@marissa_sutera). Are you interested in traveling abroad on Short Term Programs ( 2 to 6 weeks)? There are so many opportunities to travel and I can bring in more experts to talk about options available to travel. I’m not aware of Semester Long Study Abroad Programs, but there are short-term programs that can take part during your summer and winter break. P.S. 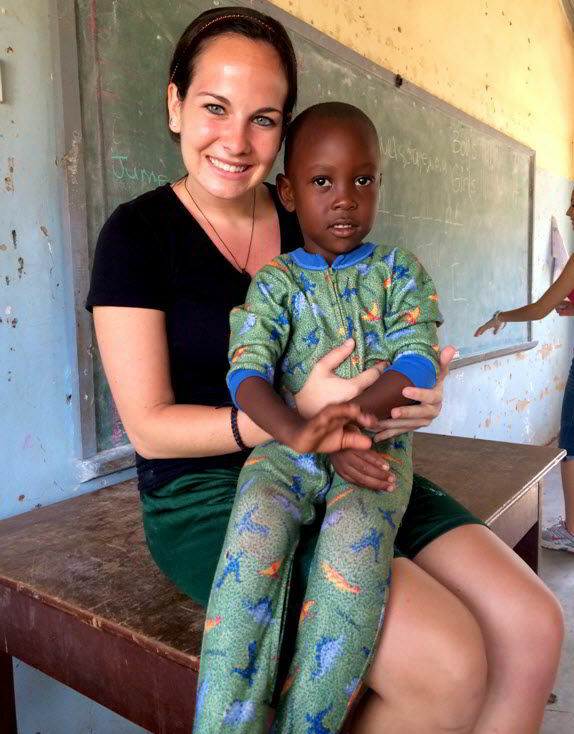 : In the next article, Marissa will share the lessons learned while Studying and Traveling and Volunteering Abroad. Yes, I’m interested in it. But as after one month I will be a working professional, so will I get enough time for it? And what would be cost of such volunteering? Any way I am a lot of interested in helping and communicating with other people. There are options and several companies who can connect with companies and volunteer projects.